Today I’m continuing my series of clay experiments with a category I’m calling the “heavy” clays—rhassoul and bentonite. These are the two heaviest”miscellaneous” clays I have, so I figured I’d pair them for this part of my investigation. What is the clay like? Does it seem heavy or fluffy, is it smooth or coarse? Does it have any distinctive scent? Is it uniform? What is the colour like? How does it change when wet? How dense is it? How much does 1 tbsp of the clay weigh? How does it absorb water? How much water is required to turn 2 tsp of clay into a smooth paste that’s roughly the texture of cake frosting? How does it hydrate? What is the consistency like when it’s been mixed with water? How does it dry? How quickly, does it crack or peel? Weigh out one level tablespoon of each clay into a glass dish and note the weight in grams. Handle the clay and make notes on texture and colour. 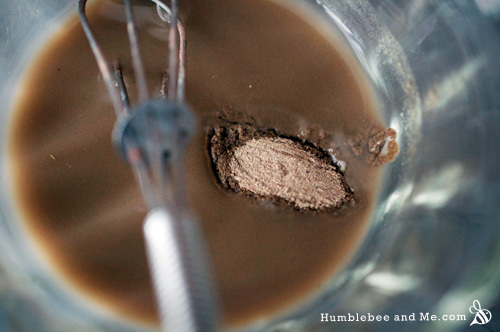 Weigh out 10g (2 tsp/10mL) of water into a glass dish and whisk in a little clay at a time until a thick, frosting-like texture was achieved. Note volume and weight of clay added. Apply a face mask of each clay and time how long it takes for the mask to feel tight. Note how it dries. Rinse off the mask and note how the skin feels afterwards. Rhassoul clay, also known as Moroccan lava clay, is rich in silica, magnesium, potassium and calcium. It has a long history of use as a cleanser in and around Morocco, and is available in a variety of grains, from coarse to very fine. I’m using a relatively middle-of-the-road grain here: fine, but not too fine. Bentonite clay (also called Montmorillonite) has a reputation as a strong cleansing and detoxifying clay. There are a couple kinds of bentonite, but the kind you’re most likely to get from your supplier is Sodium Bentonite (check to be sure), and that’s what I’ll be working with in these experiments. When hydrated the molecules become charged, which is why contact with metal is not advised—it interferes with this charge (don’t worry, you won’t get zapped, and contact with metal won’t harm the clay or make it harmful, it just makes it less effective). 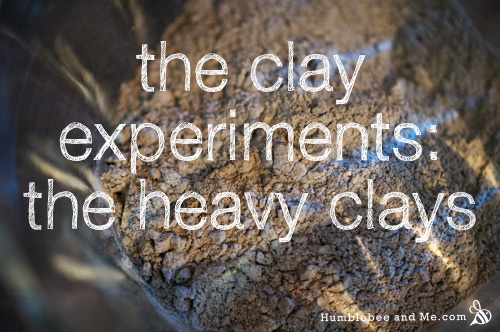 Both clays are heavy and sandy, and smell dusty—nothing too specific. The clays are uniform in particle size, but these particles are fairly large—like a finer sand. The rhassoul is a greyish brown, while the bentonite is quite grey. Both have some minor variations in particle colour, but nothing too striking. They both darken when wet. Both clays are quite dense. 1 tbsp of rhassoul clay weighs 15.7g, 1 tbsp of bentonite weighs 13.2g. Rhassoul clay quickly settle sout of water in low concentrations. 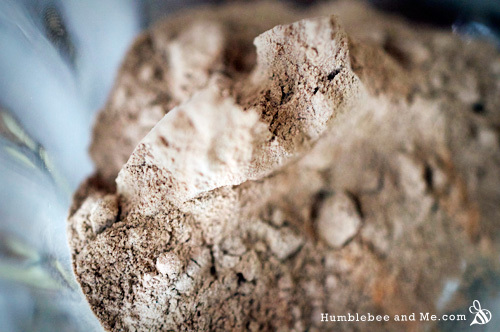 Bentonite clay loves to clump. How does it absorb water? How much clay is required to turn 10g of water into a smooth paste that’s roughly the texture of cake frosting? Rhassoul clay whisks into water easily (similar to how sand would), and settles out quickly, especially at lower concentrations. I used 2 tsp/7.1g of clay to turn 10g of water into a creamy cake-frosting like texture. Bentonite clay is incredibly (and irritatingly) prone to clumping when combined with water. It’s crazy absorbent, so I only needed about ¼ tsp/1.5g for 10g of water. That’s SO little (about one tenth of how much French red clay you’d need for the same result)! Rhassoul clay becomes a thick, slightly sticky paste when wet. 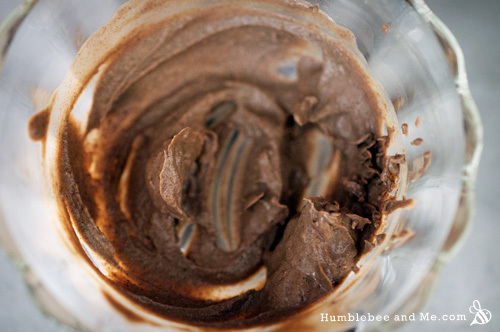 Rhassoul clay hydrates up to a slightly tacky, vaguely peanut buttery paste. It’s fairly stiff, and definitely a bit gritty on the skin. It doesn’t spread onto the skin as easily or smoothly as the French clays do. 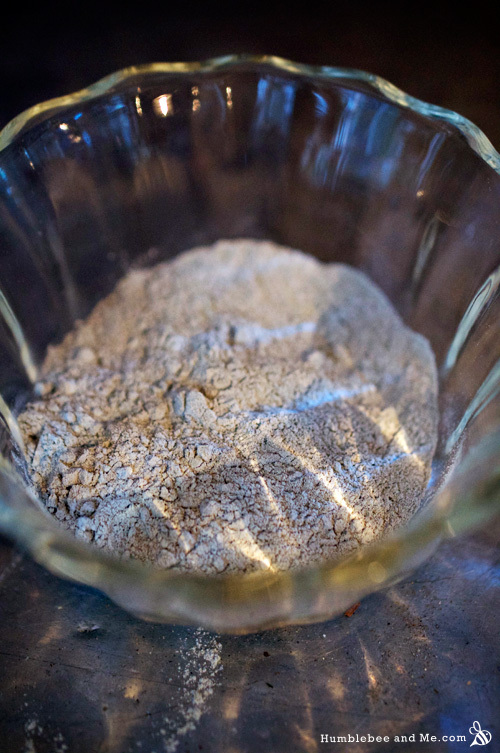 Bentonite is super weird when it gets wet—unlike any other clay. It’s crazy absorbent and turns water into a gelatinous type substance. You need to add it to the water just a wee sprinkle at a time, whisking with a wooden chopstick between additions. When hydrated, it’s like a slimy gel instead of a creamy, satiny paste like the French clays. It’s sort of like the gelatinous way oatmeal gets when it’s sat out for a while (appealing, eh?!). It spreads on the skin a bit like you might expect jello to—it takes some encouraging to get a somewhat uniform coating, and it’s translucent on the skin—the only clay I’ve found that is. I found the rhassoul became tight and itchy pretty fast—I found it annoying by the 8 minute mark, and absolutely had to wash my face by 12 minutes. It became paler as it dried, but I couldn’t stand to have it on my face long enough to notice substantial cracking. It washed off easily. Bentonite clay took a while to become itchy—about 15 minutes, with a 17 minute wash off point. As it dries you start to be able to see your pores as dark spots in the lighter, dried out clay, which is pretty cool. The clay becomes slimy and gel-like again as you try to wash it off, but it’s not too hard to get off. Keep in mind that this is just clay + water; adding oil and other ingredients will change this. Both clays left my skin feeling a pretty average post-mask dry. It wasn’t dry enough that I felt like I had to moisturize. So—bentonite clay is super weird. The way it behaves with water is completely unique to any clay I’ve ever worked with. I’m often asked if bentonite is a suitable alternative to other clays, and if water is involved, the answer is a 100% no (not without major adjustments, at least). It’s sort of like using gelatin instead of flour. Weird, eh? I’ve found bentonite mixes more smoothly with vinegar than with water. 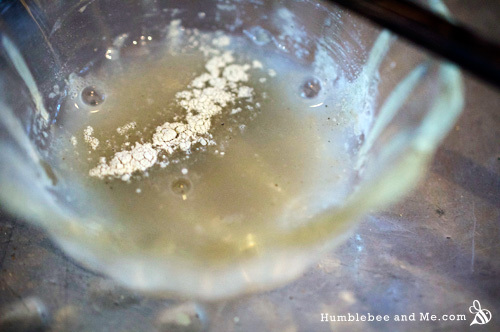 It almost never clumps when I mix it 1:1 with apple cider vinegar. Also, as a swelling clay, I believe it’s more likely to cause plumbing clogs. I’ve certainly noticed my drain isn’t clogging up as fast since I switched to green clay. Very cool, thanks so much for sharing! Now I’m wishing I’d added an acid component to this series, but it’s a little late now :/ And I can definitely see where you’re coming with the drain clogging! Cool…I saw The Heavy Clays at the Underground a few years ago. They’re awesome. I think I saw that show, too—I loved their single “Empty Pores, Empty Heart”. It got me through some tough times. Bentonite clay pairs PERFECTLY with apple cider vinegar for masks. I have been doing a lot of experimenting with it as far as liquids. I have used witch hazel, aloe juice, distilled water, tea (which is basically the same as just plain water) and vinegar always stirs into a smooth paste/frosting consistency but anything else just clumps and isn’t usable as a mask. I use a plastic fork in a plastic bowl to mix it becuase I want the full benefit of it, but if you really want an effective mask for blemishes, the clay and apple cider vinegar is a perfect combination! 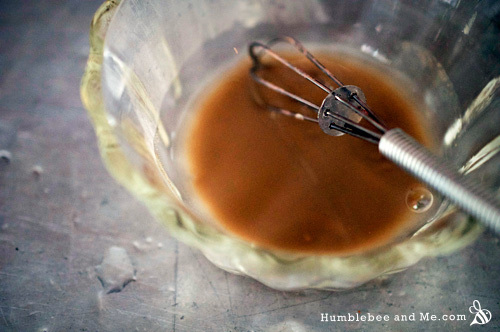 I also add some raw honey or glycerine, or a small amount of aloe gel or juice to it. It won’t clump as long as there is vinegar in it! That is what I have found. 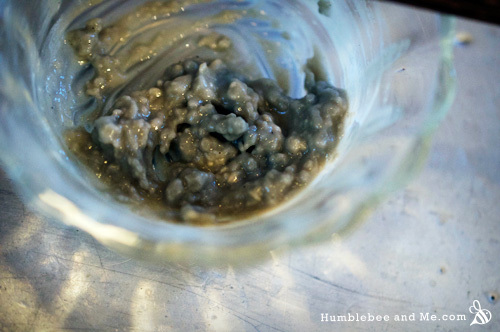 I use the Aztec Bentonite clay too =) This is a wonderful experiment! Thank you for sharing! Very cool, thank you for sharing the results of your experiments! I wonder if it’s just the acidity—so would something like yoghurt work where milk wouldn’t? Hmmmm. Colour me even more intrigued! Ashlynn, do you mind sharing your recipe? I’m new to DIY and not savvy enough to figure out the proportions on my own! Thanks Marie! Love your blog; it’s so informative. And congrats on the book deal! Second Marie! I actually use 100% ACV which I am very surprised hasn’t burned my eyes out! But I leave it off my undereye area too and use honey there. You could definitely mix with water and use it diluted! I don’t have exact measurements, I do it by eye really. I use 1TBP approximately of clay and wet to the desired consistency! Great post. A tip I learned from lisalise blog (hope it’s ok to post another blog site here), add bentonite clay to water and wait for it (the clay) to be absorbed into the water before mixing. This prevents it from clumping. What I was doing and probably what everyone else does is measure out the clay first then add water to it, but since doing it the other way, I don’t get any lumps at all. Hope this helps someone. I like to use Bentonite clay with ACV, a little tea tree oil, and vitamin E oil for a regular face mask. I tried to store this, though, and it seems to go bad. Is there anyway to make masks store for multiple weeks? Hello! So I totally realize that I’ve left about 100 million other comments on your various blog posts and you’re probably super busy trying to answer my every single scientific inquiry but I have another one! I’m in love with green illite clay for a typical mask, and I’ve invested in rhassoul and kaolinite for other purposes (being of masks and makeup) but I’m curious what the benefit to using rhassoul vs. illite (or the other way around) would be in regards to facial masks? When are the best “times” to use one or the other? I found the illite to be quite drying, but other than that I can’t discern any real difference in benefit. What am I missing? I want to make sure I’m getting the best out of each as I can. 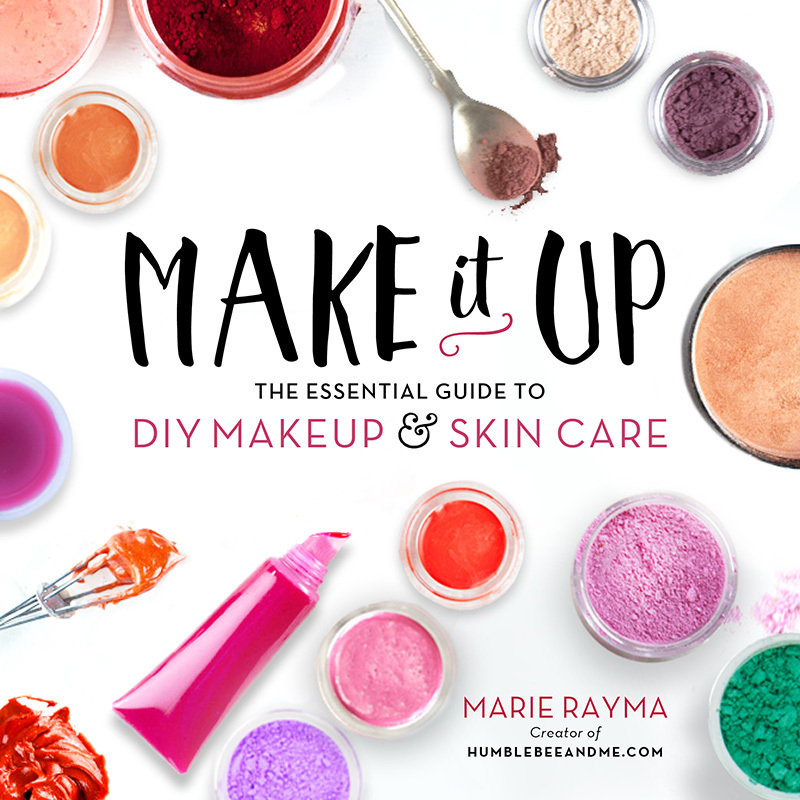 Also, SUPER excited for your book — can’t wait to delve in and start making my own makeup with your most recent recipes. Can’t seem to find an affordable powder foundation I like that doesn’t make my skin mad (BareMinerals breaks my wallet and Besame Cosmetics is lovely but just not quite right…). Hope it’s published soon! I tend to prefer illite because it is softer and smoother—which means I’ll often choose rhassoul if I want some added exfoliation that week. The pH of rhassoul is a bit lower than illute (7–7.5 vs 7.75), but both are pretty close to the pH of skin (and nowhere close to bentonite, which is up in the 9’s). Illite is supposed to be more absorbent than rhassoul, while rhassoul is said to reduce flakiness (likely through exfoliation) and improve skin elasticity. So really, in the end… it’s about what you prefer. The biggest different to me is the feel of applying the mask and letting it dry, and I don’t love the consistency of a rhassoul paste and find it drives me batty faster than illite when it’s on my face. But, if you find your skin really benefits from some exfoliation, you might prefer rhassoul. Or why not try a blend of the two? Mixing sounds like a great idea! I’ll probably like the blend (considering I like that rhassoul isn’t too drying for me) a bunch. Can’t wait to try it out! I just found the perfect combo for me: a 1:1:3 ratio of rhassoul, charcoal, and French green clay (by volume, not weight, easier measuring — used 1/8 tsp and a bowl) with a few drops of oil and water! Feels amazing, just the right amount of detox and scrubby and tightening action. Love it! Why haven’t you replied to my email/tweet/comment/Facebook message/etc. ?